It was business as usual around the Yaounde Central Post Office roundabout this 10th April 2019. Located at the heart of the capital city, this area referred to as “Poste Centrale” is crowded with vendors on almost every sidewalk. Items on sale range from electronic devices to footwear, clothes, food, stationery and just anything for personal and household use. Many consider it a continuation of the Yaounde Central Market which is situated some hundred metres away. 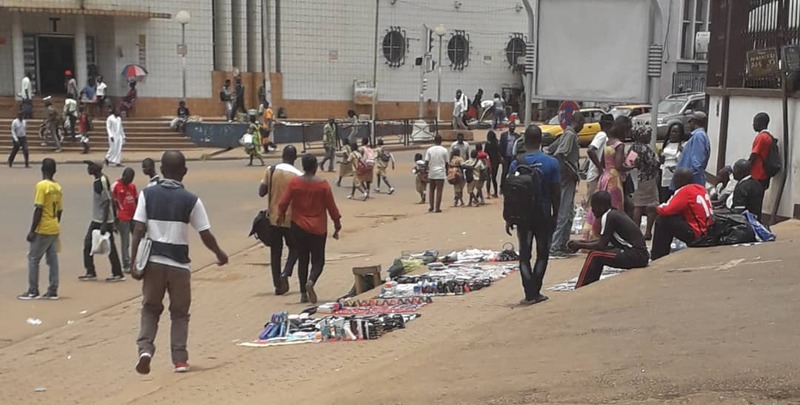 The Minister of Housing and Urban Development, Celestine Ketcha Courtes met with these vendors and exhorted them to leave the area to other areas that have been arranged as markets. Not only are the sales haphazardly carried out, any commercial activity in this area is in violation of the urbanisation plan for Yaounde. 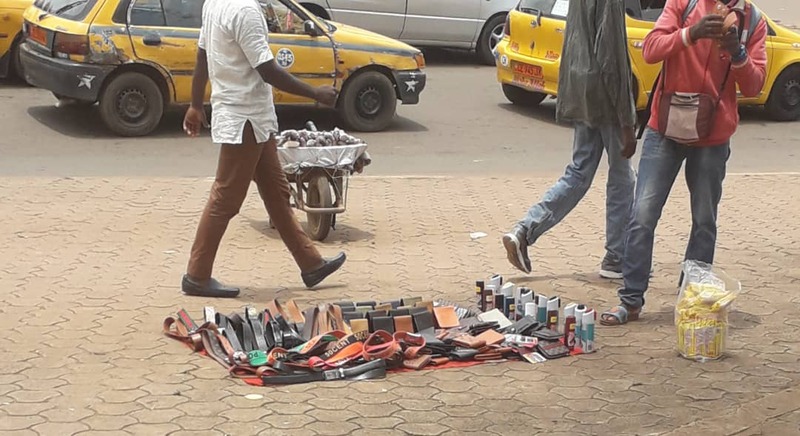 law voted by Cameroon’s Parliament prohibits open-air sales in specific areas of the capital city. In collaboration with the Government Delegate to the Yaounde City Council, Tsimi Evouna, Minister Ketcha Courtes signed a release formerly prohibiting sales around this area. Most of the vendors are ignorant of the fact that they were carrying out activities in this area in blatant violation of the law. Paul, sells stationery on the sidewalks and he considers the new policy as far-fetched. “I have been here for years so no one can just come one day and displace me,” he retorts emphatically. Close by, is Alain Xavice who deals with the various derivatives of coconut. Her reaction to the Minister’s order was not very different. “I have been selling in diffferent parts of the Post Office area for over 20 years now and the money I make is meant to raise my children. How do I leave here now?” She wondered aloud. She says she was expecting the Minister to caution them against littering or asking them to be more organised rather than asking them to leave completely. One of his customers chips-in saying “Even if a shop is opened to sell such communiqués, it is not easy for a student living in Soa to find such documents elsewhere”. She says information on available entrance examinations and other opportunities are easier to obtain from these vendors who are strategically located. In a nutshell, vendors and customers will find it hard to relocate. The Yaounde Post Office Roundabout appears to be the best place for brisk business due to its easy access.